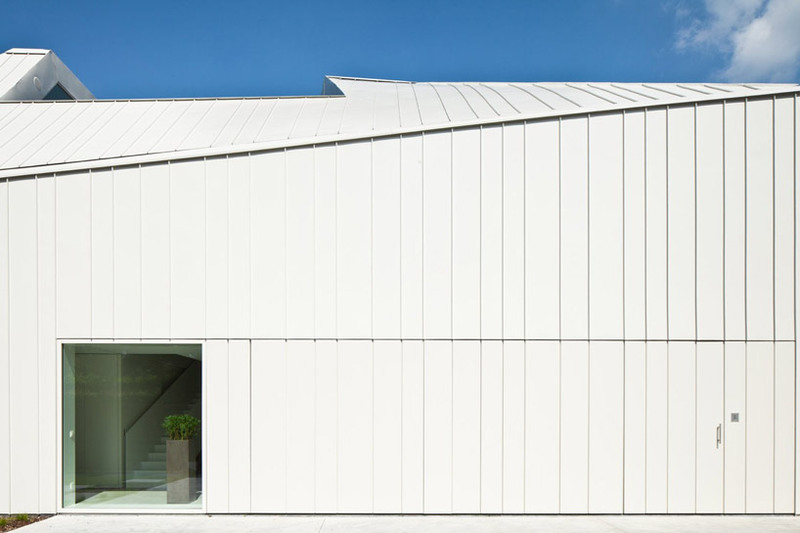 the town of sint-katelijne-waver is the center for market gardening in the province of antwerp and home of the largest cooperative vegetable auction in europe. 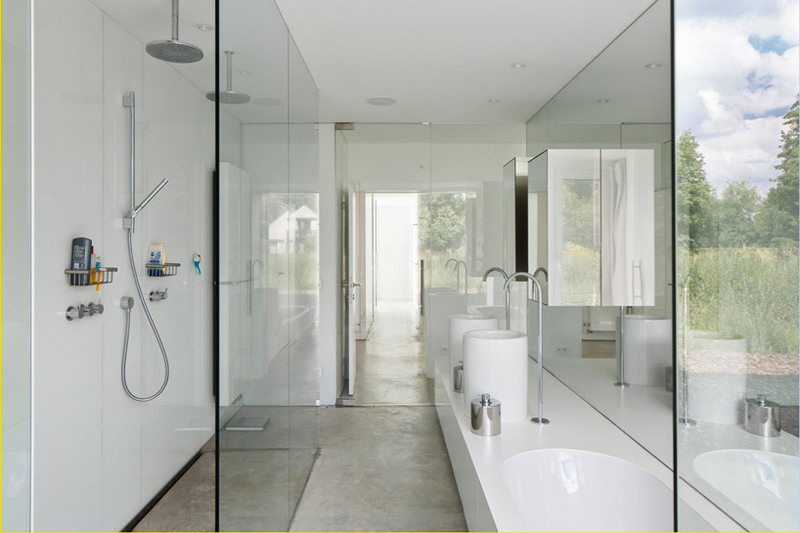 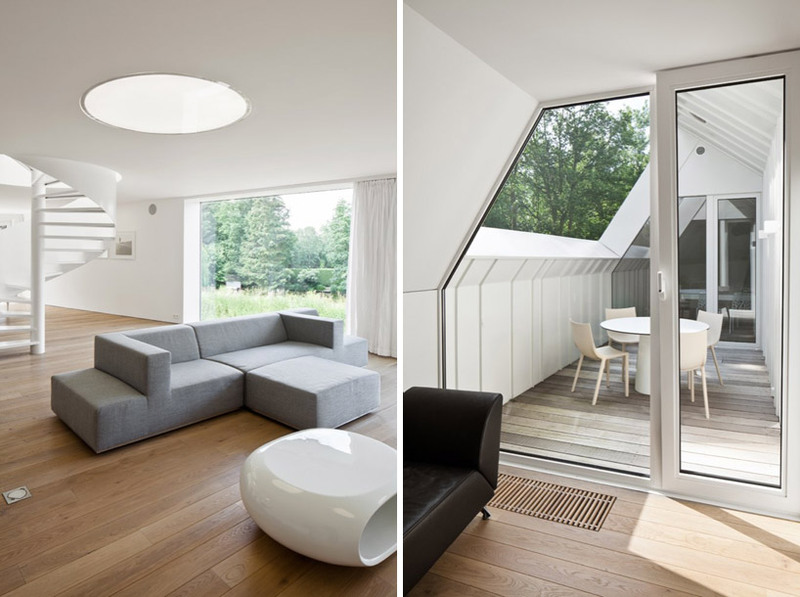 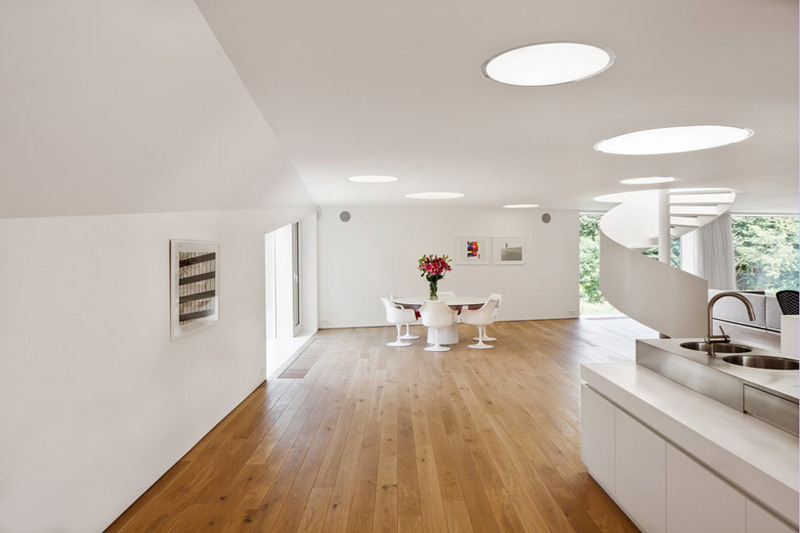 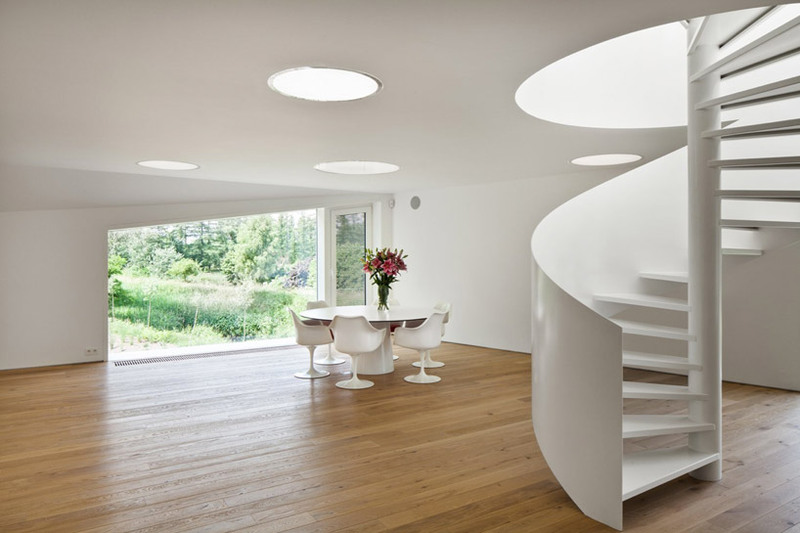 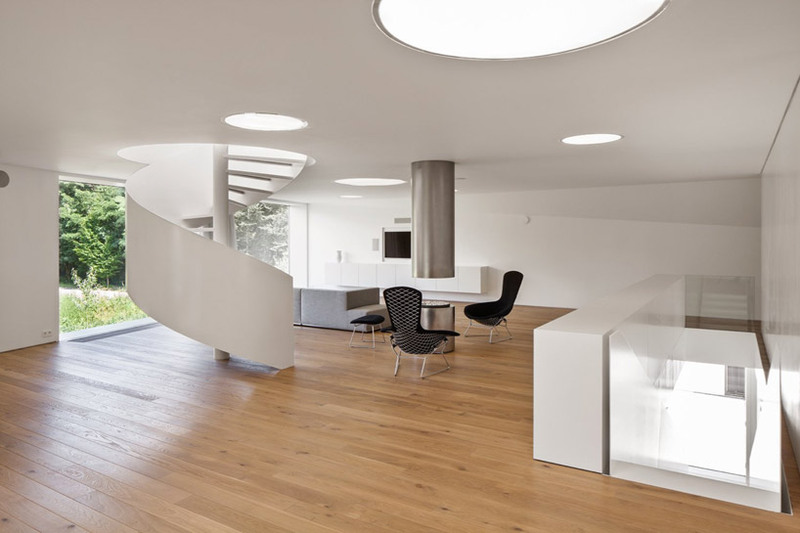 the ‘VMVK house’ is sited within the greenery of nete-valley and close to prominent vegetable district of mechelen. 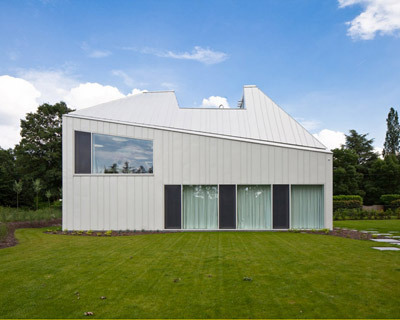 although the countryside is characterized by an abundance of rustic greenhouses, the architects exploited the potential idiosyncrasies of rural architecture by way of material and hipped roof structure. 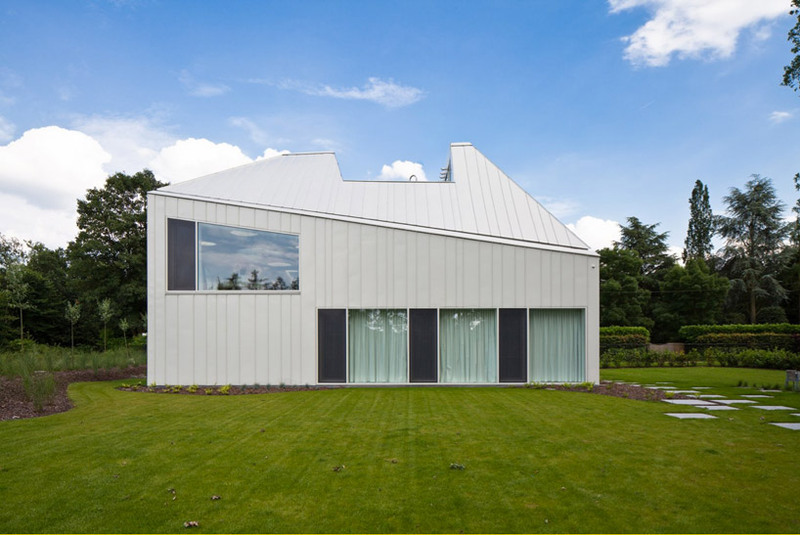 the gable-less form is usually symmetrically pitched, but the belgian residence thwarts the roof’s trapezoids by exaggerating the slope of the fascia and carving a glazed terrace into the ridge. 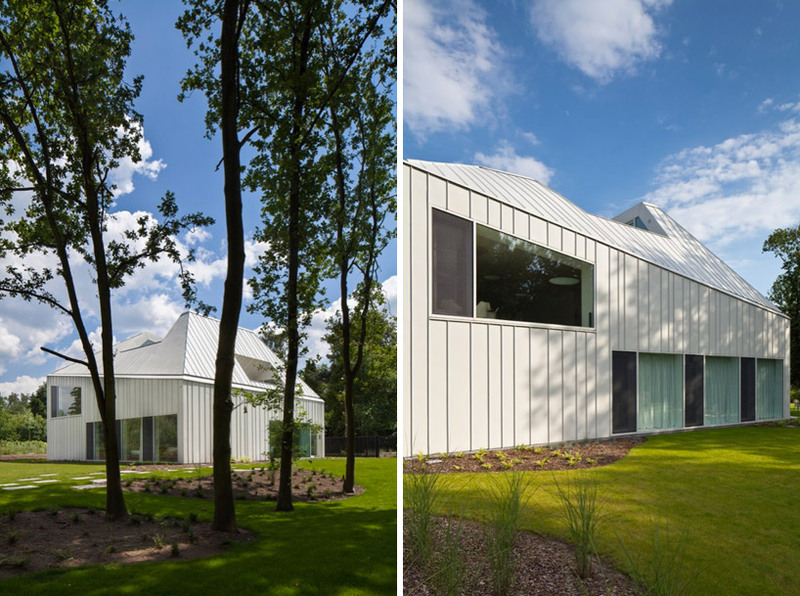 unbound by style, local architects dmvA continued their characteristically process-driven design for the private home with a corrugated metal skin. 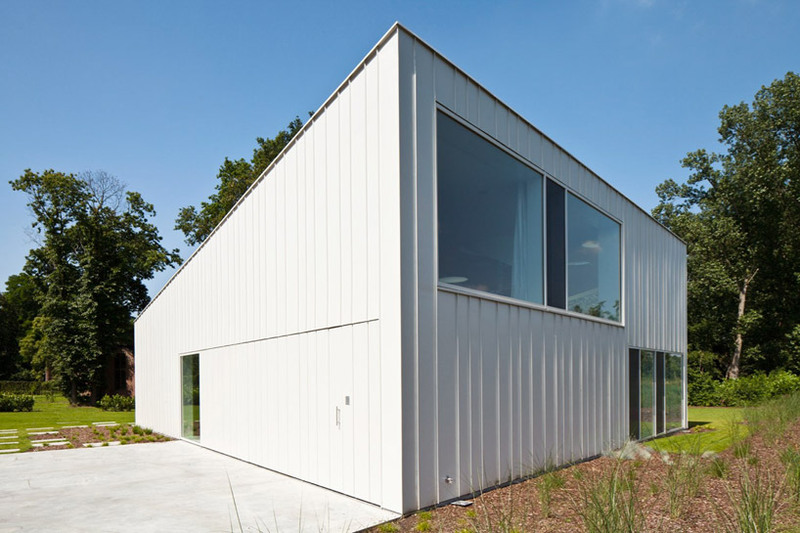 the white-laquered metal envelope elevates the architecture to a strong graphic within the picturesque woods. 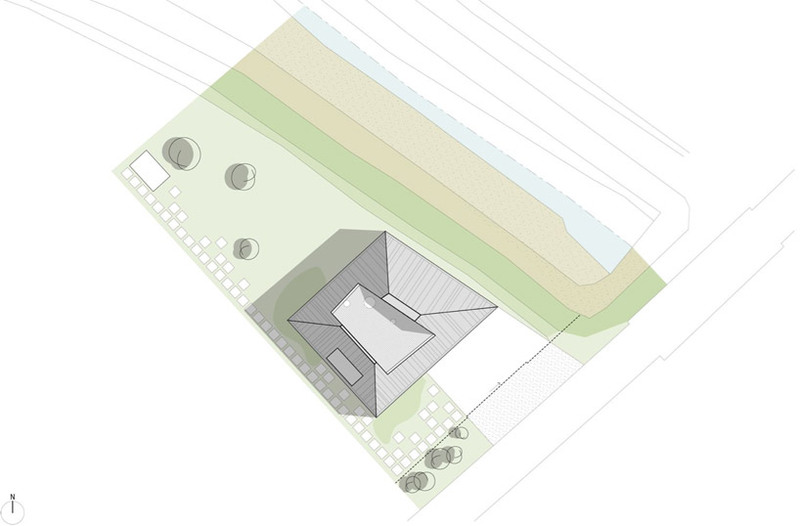 living spaces are relegated to the upper floors, so that the users can choose to make the most of the splendid terrace views while the form’s unusual materials and dramatic angles frame a unembellished break from the landscape.